Drill-induced heat has been suspected as a cause of tissue injury, and there are ample experimental data to substantiate the implication. 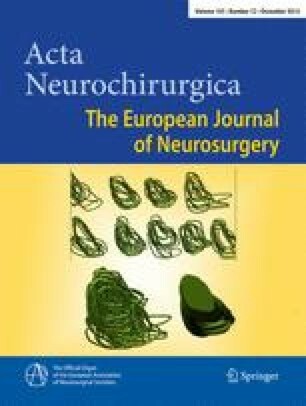 However, no clinical results have been presented with measurement of temperature in the vicinity of neural structures during the actual spinal procedures. Using a thermocouple, temperature in the gutters drilled in the midline and the lateral margins of the lamina was monitored closely in 61 patients, who underwent the French-door style of cervical spino-laminoplasty. The drilling was performed intermittently for a duration of 5 or 10 seconds, using 3- or 5-mm diamond burrs with sufficient continuous cooling irrigation. The correlations between bone temperature elevation and postoperative sensorimotor symptoms were then analyzed. In the lateral gutters at the most cephalad level (typically C3), where the drilling was performed underneath an overlying bundle of muscle attached to C2's spinous process, the temperature rose significantly. This occurred even with 5-second drilling sessions. The average peak temperature was 44 °C at this level. At all other sites, the temperature was maintained below 40 °C. In three patients, transient neurological deficit developed postoperatively, which did not correlate with the incidence of bone temperature elevation. Intermittent drilling with sufficient irrigation can prevent thermal neuronal damage generated by high-speed drills. Drilling with small diamond burrs in deep and narrow spaces covered by overlying muscles predisposes to inadequate irrigation and thermal elevation. Continuous, protracted drilling without frequent irrigation may result in excessive heat generation and nerve injury. The authors have performed a nice study to investigate a common teaching regarding heat injury to nerves associated with drilling. They have shown that the use of a diamond bit, particularly in relatively closed spaces, can result in significant temperature changes and that these changes have the potential to cause nerve damage.